In the latest revelation of one of her many projects, Kat Von D shared a sneak peek of her vegan shoe collection on Instagram early this morning, causing even more suspense for when the line is fully released. While we still don’t have the details on when exactly this elusive line of footwear will be released, we’ve been waiting in anticipation since Kat Von D announced her vegan shoe line during the beginning of December. What we know for sure, at this point, is that Kat Von D has refined and specific tastes when it comes to vegan and cruelty-free fashion, and her penchant for bold and vintage-inspired looks will likely inform the designs for her personal line. Of course, now that the designs are in the question stands: how long will we be forced to wait? Our girl, hard at work. Hopefully, this will be a spring release. Especially considering how well those sketches would pair with spring dresses. 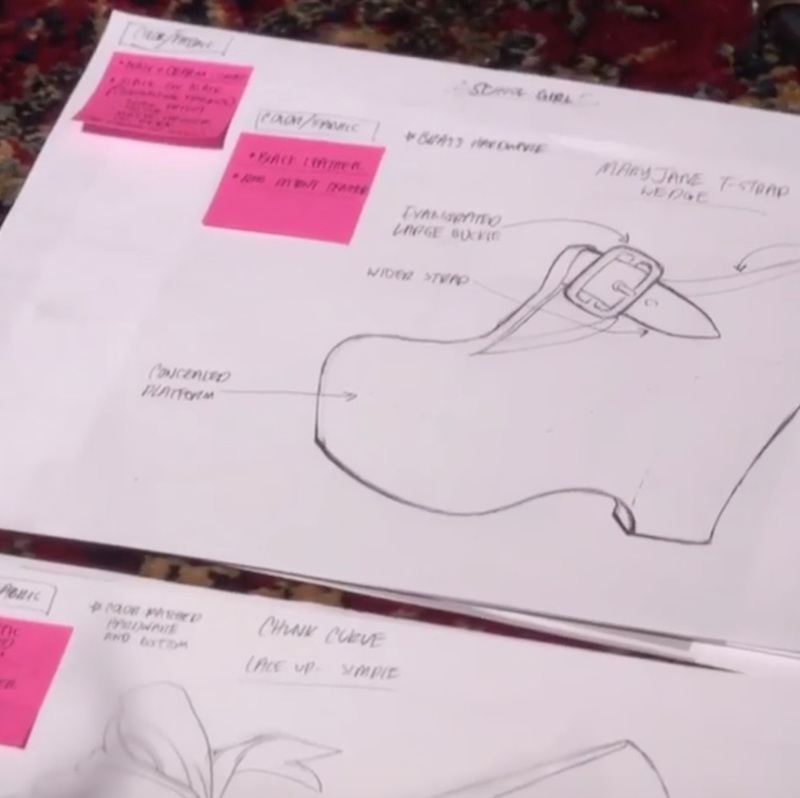 At a glance, her sketches give us ample hope for chunky heels with all manner of straps. Look at that sketch? We can totally see ourselves wearing these for breakfast, lunch, and dinner! 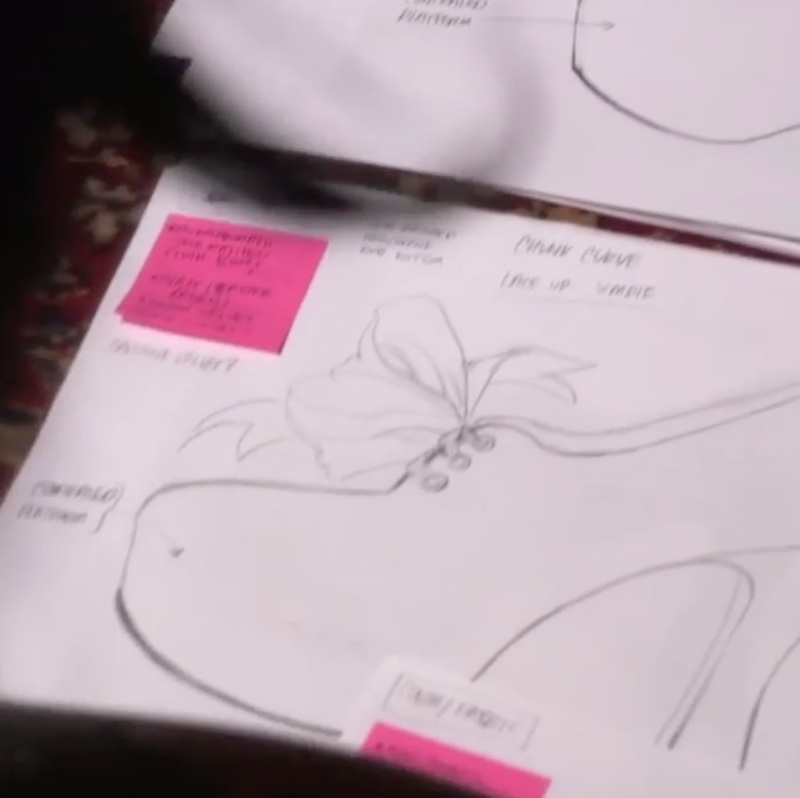 Perhaps some of the designs will be informed by the styles found in her spacious shoe closet. Now that the drawings are in, we’re counting on a release sooner than later!